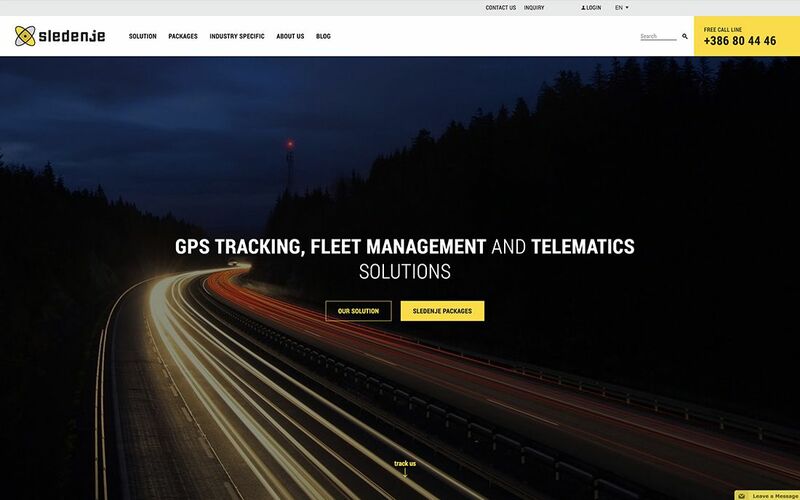 The company Sledenje is the leading company in the field of vehicle tracking and vehicle fleet management. 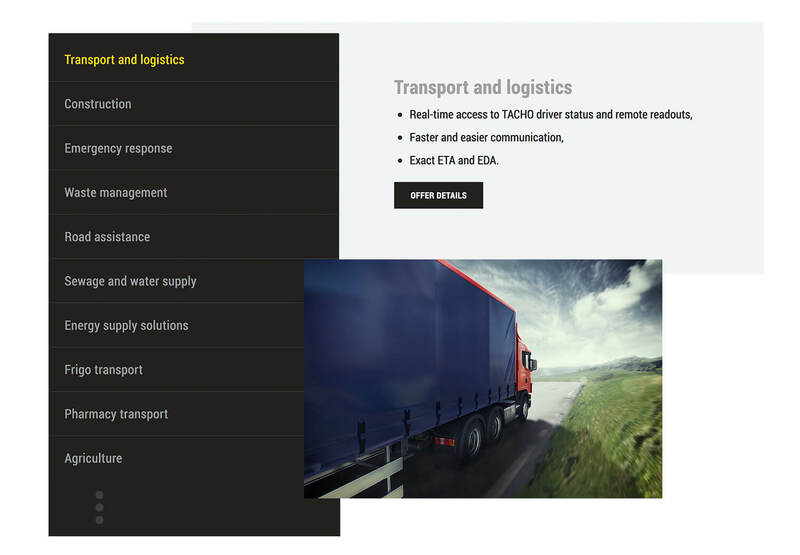 Slowly, the technologically advanced company realized that their website no longer meets the needs of their work and the range of the services they provide. Since they are aware that a website is a strong tool for acquiring new customers, they decided on redesigning it. 1st goal: A visual renovation of the website in order to make it more modern. We kept their colors and other characteristics of their overall image; otherwise, we were given complete freedom to use our creativity. 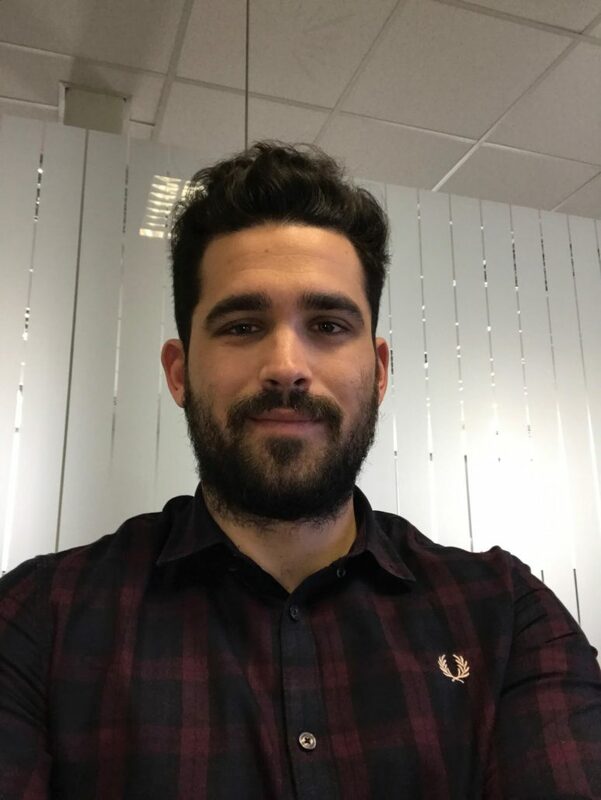 2nd goal: Increasing the number of users on the website. With the help of our client, we provided the most important keywords for their business. 3rd goal: Increasing the number of interactions on the website – individual interactions, such as submitting a simple contact form, inquiry or employment application, signing up for e-news, watching a video, etc. To make monitoring and recording easier, individual interactions were added to the goals in Analytics. 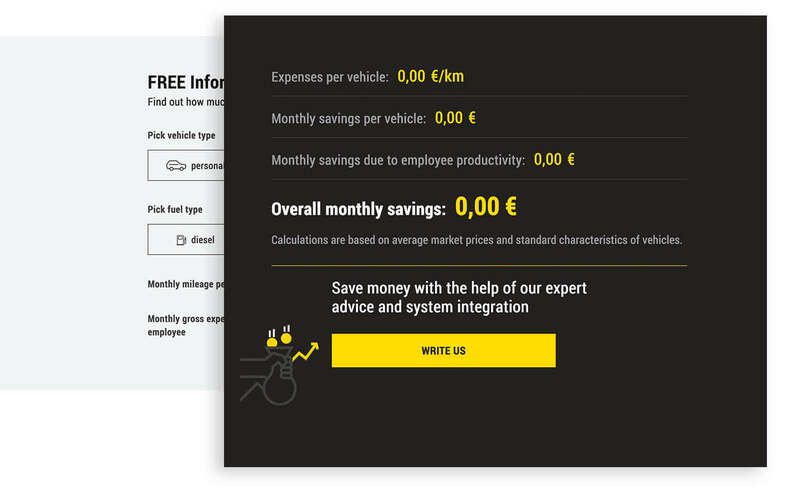 The website now has a simple calculator that enables smaller and bigger companies to make an informative calculation of savings according to the type of vehicle and fuel, mileage and the gross cost of a worker. 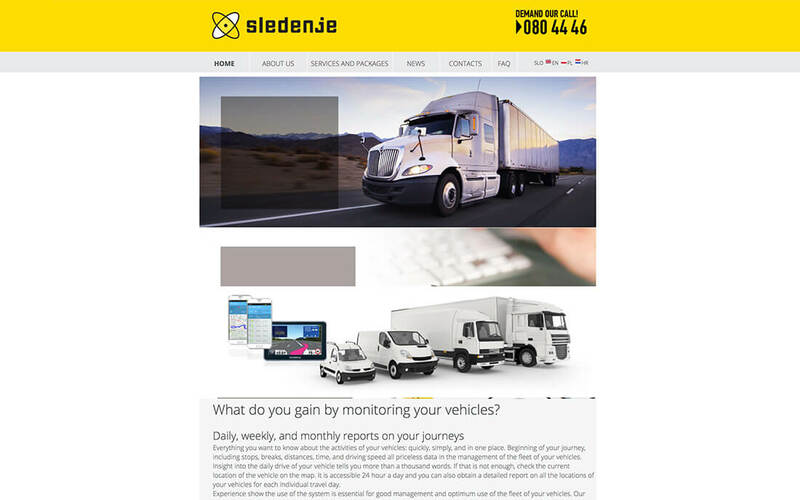 A quick and simple calculation presents approximate numbers of how much a company can save by using Sledenje’s services. Packages are presented in a very structured manner, despite their complexity. The users who already know their system can access individual packages through a mega menu. This way, they can quickly and easily obtain the information they need. 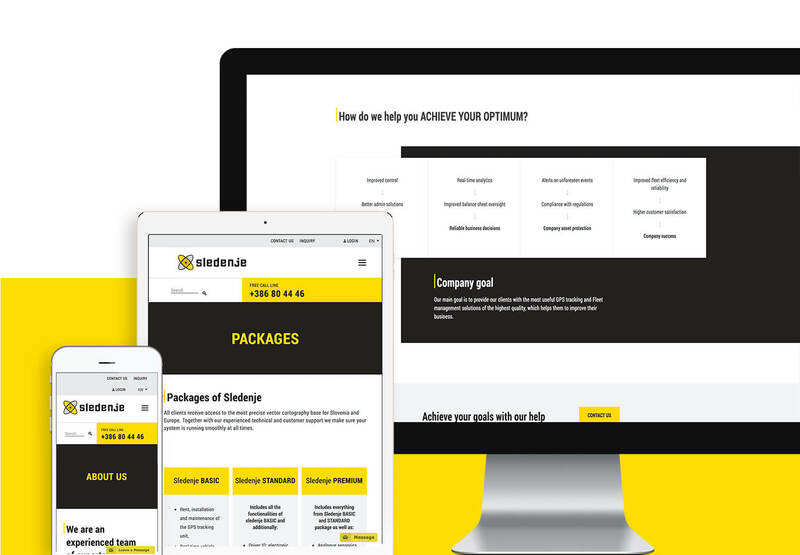 If someone is a first-time customer, the landing page “Packages” nicely shows them around the segments Packages of Sledenje, the Route Planner – Optimization, Portable devices for shipment and container tracking, SMobile mobile application and Other software solutions. 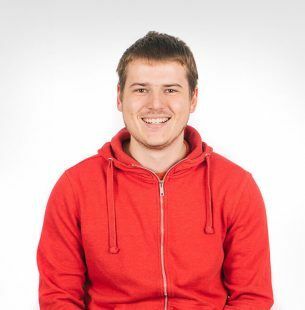 We divided Sledenje’s services according to the field in which the client’s company is operating. 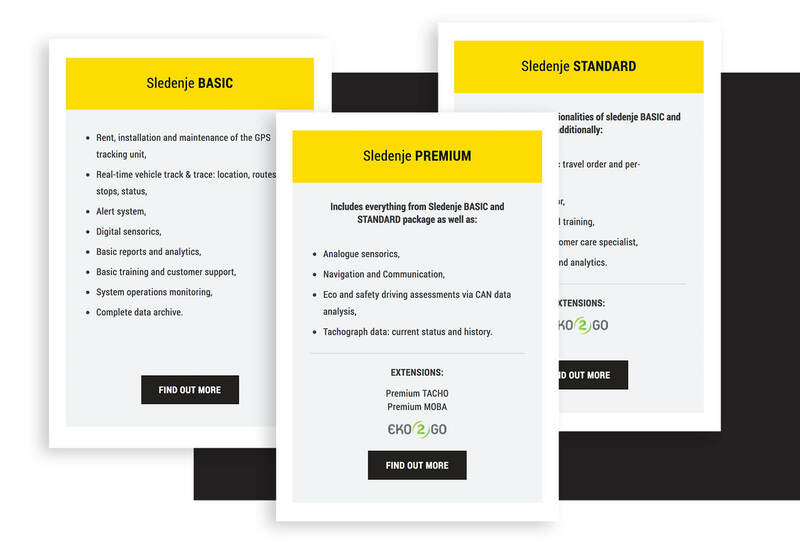 With their yearlong experiences, the company Sledenje can quickly advise its clients and recommend them a package most suitable for their line of work. However, since every company has its own operational specifics, these are adjusted according to each individual. The website also includes a part that is closed for the greater part of the website visitors. Once a client becomes a subscriber to their services, they receive a user password, which lets them access the closed part. There, they can find tips for using their system – from educational videos to monthly tips and frequently asked questions. The success of the redesigned website is no coincidence; it’s a result of careful and thoughtful planning, years of experience and a technically experienced team behind the redesign. 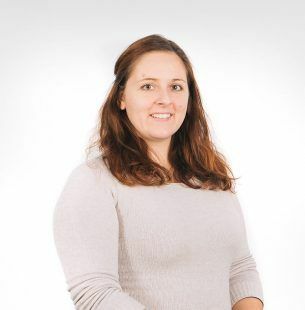 A 642.42% increase in the number of website users can largely be attributed to SEO, while the new page enables our client easier editing, preparing new content and sharing this content through social media. 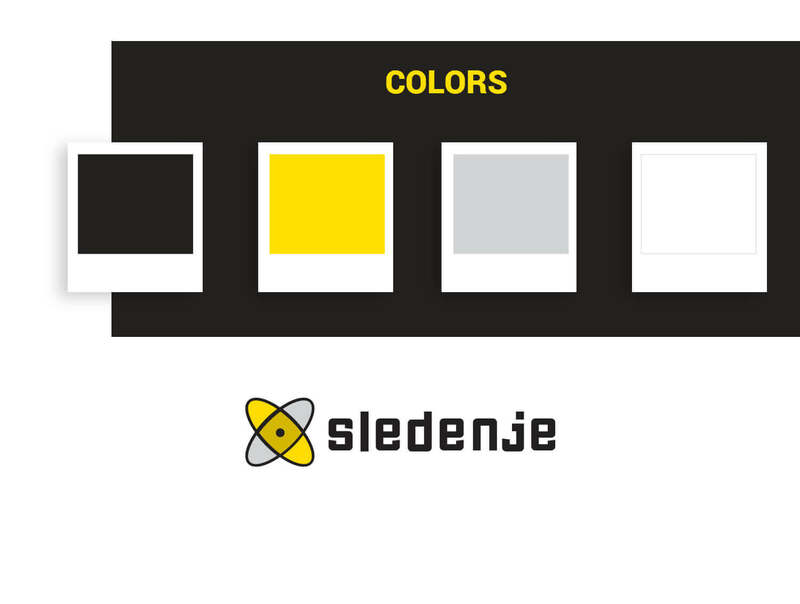 Our company Sledenje d.o.o. has been deciding on redesigning the website’s image for quite a long time. When we started looking for a provider of such services, we weren’t even remotely aware of what this whole process encompasses. Luckily for us, we found Optiweb, who successfully guided us through the process of the redesign with their integrated approach. 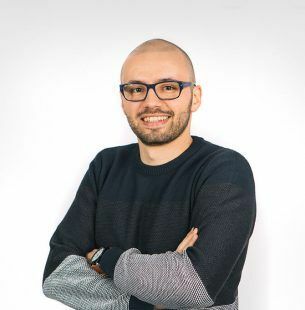 Their team is professional, technically outstanding and responsive, while their process is designed for long-term success. Thank you, Optiweb!